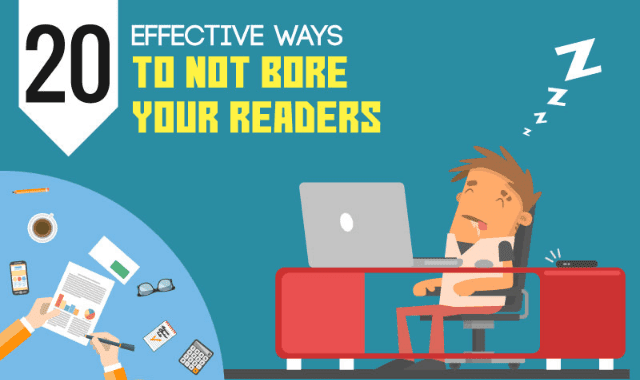 20 Effective Ways To Not Bore Your Readers #Infographic ~ Visualistan '+g+"
Does your blog struggle to keep readers interested and coming back for more? Are you looking for ways to be a little less boring? In this infographic MyTasker emphasize the importance of readability - keep words, sentences and paragraphs short and free of fluff.